Holy crap, we’re covered in Kindles. 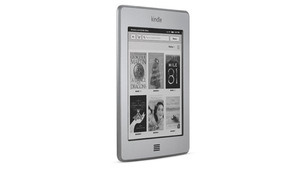 As of today there are six different Kindles you can choose from at 11 different price-points. How ever will you decide? Here’s a quick look at all of ’em, and our pre-release pick. The Kindle (cheap)This is not the old Kindle, it’s the new Kindle. But it’s just called the Kindle. Don’t be confused. This is your base model, but it’s 30 percent lighter than the previous generation, and it’s 18 percent smaller even though the screen is the same 6-inch size. It’s only 79 bucks if you don’t mind having ads on your e-book reader. If you want to go ad-free it’ll run you $109. The biggest downside to this model is that there’s no keyboard anymore, so when you have to input text you have to deal with scrolling through a slow, awkward onscreen keyboard. The Kindle TouchThis is the first major departure for the Kindle line (though, not the majorest, ultimately). It does away with almost all of the buttons—none for turning pages, and no keys for entering text. Instead, you get an IR touchscreen. Good news, the touchscreen looked very responsive, and the onscreen keyboard seemed to work just fine. It’s $99 bucks with the aforementioned ads, or $139 to damn the man. The coolest part of this one is its X-Ray feature (check out some video of it here), which gives you a bunch of contextual information about the book you’re reading. It’s actually pretty genius. The Kindle Touch 3GIt’s the Kindle Touch. But with 3G. This means you can download stuff without a Wi-Fi connection. It’ll cost you 50 bucks more for the privilege ($149 with ads, and $189 without). On the plus side, it is unlimited, contract-free, international 3G, but in my opinion, it’s probably not worth it. Maaaybe if you plan on using your Kindle for reading a lot of short things, but if you’re primarily downloading full books, those take a while to read, so you can probably just stock up when you have Wi-Fi. The Kindle KeyboardThis is the old Kindle, but with a new name, and a lower price. They Kindle Keyboard has… a keyboard. It’s definitely handy if you plan on doing a lot of searching and typing, but if you’re going to be doing more reading than typing, you probably don’t need it. It’s $99 with “Special Offers” and $139 without. 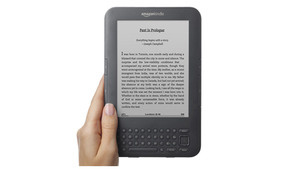 It’s bigger, heavier, and slower than the new basic Kindle, and it costs $20 more. Unless you’re going to do a ton of typing, don’t bother. There’s also a 3G version available for $139 with ads, or $189 without. The subsection of humanity that should buy this is minuscule. Well, hi there, new hotness. 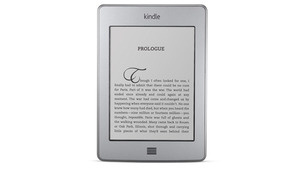 Obviously, this is the biggest departure for the traditional Kindle line. That’s because it’s not just an e-book reader, it’s a full-fledged tablet. There are pros and cons with that. On the pro side, you can do way more with it. Full web, email, Android apps (including some very nice games), video, the whole shibang. It’s still small and light, but it’s got a Gorilla Glass front, pretty good resolution, and a wide viewing angle. Oh, and it’s only $199. No ads, no caveats. It’s fast and very sweet-looking, and yes, of course you can read your e-books, too. On the con side, this isn’t e-ink anymore, and so that sensational battery life is gone. They say you’ll get seven to eight hours of screen-on time, which ain’t bad, but it doesn’t come close to e-ink (think weeks). It’s not as easy on the eyes, either (though you can read in the dark). It’s built on top of Android 2.3, but it’s basically unrecognizable. It doesn’t have Android Market, or a lot of other Google goodness, but it’s got a fast and (much more) intuitive interface. Easily the best $200 tablet we’ve ever seen. Look, there are two categories here: there’s the five e-ink e-book readers, and there’s the one tablet. 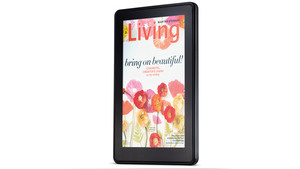 Of the e-ink, e-book readers our pick is… The $99 Kindle Touch. Wi-Fi only, with “Special Offers.” Here’s why. Entering text and selecting words is just much easier. It’s nice and clean looking. The X-Ray feature is awesome. It’s like a dictionary, encyclopedia, and Cliff’s Notes wrapped into a pre-loaded package (it downloads with the book, so you don’t need connectivity to see ’em). And guess what, though we talked a lot about the ads, the “Special Offers” are essentially a screensaver and only display when you aren’t reading. They’re incredibly unobtrusive, and who knows, you might even find a local deal. At $99 it’s an awesome deal. As far as the tablet goes, the Kindle Fire looks awesome. For $199 it’s the highest-end device for the least amount of money we’ve seen (it’s the same hardware as the $500 BlackBerry Playbook). You won’t get the full “Google Experience,” but this tablet isn’t for someone looking to replace a laptop. This device is for consuming media, and its interface is vastly more intuitive than Honeycomb’s. If you want a cheap but still very good tablet that isn’t an iPad, it’s looking like this is your baby. When HP’s TouchPad dropped to 100 bucks, it flew off the shelves, and it really didn’t even work that well. For just $200 you’re getting something that’s alive, good, and fast. If you’re wondering if you should be excited, the answer is yes, we think you should. So now you have our preliminary, pre-review, recommendations. 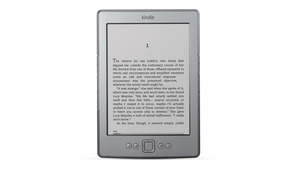 It just comes down to do you want an e-book reader or a tablet? But really, you could get both of them and it would still cost a whole lot less than an iPad. You can pre-order these now at Amazon, though the new ones won’t ship until November 15th. Which Kindle (if any) will you take?